​Rendezvous Trails. 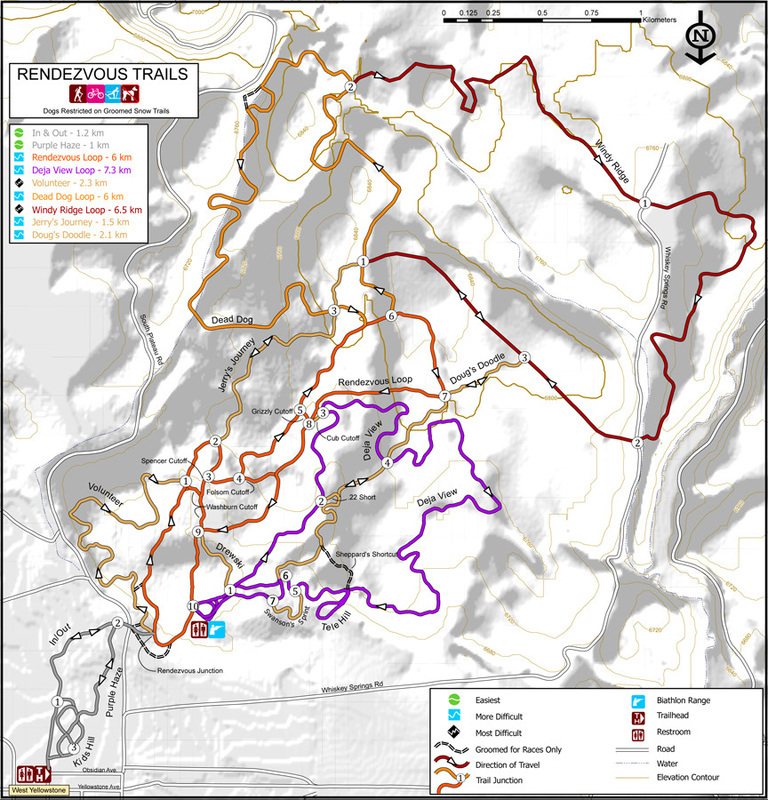 The Rendezvous Trails are 40 kilometers of perfectly groomed trails ideal for skating and classic techniques. They are located within walking distance from most places in town. Check out the grooming report online. ​Riverside Ski Trail. Access this great ski tour or snowshoe walk off of Boundary Street and head into Yellowstone National Park. The "Upriver" and "Downriver" loops combine for nearly 10K of cross country skiing along the Madison River with incredible views and potential wildlife viewing. A great spot for an afternoon picnic! ​Boundary Trail. Dog friendly cross country ski trail from the northern edge of town to Baker's Hole Campground. This 3.5 mile trail is groomed periodically and is a great place to take your four-legged friends. Please pack out any "recycled" dog food. ​Harriman State Park in Island Park, Idaho (26 miles from West Yellowstone). There are trails for all levels of cross country skiing ability including more than 7 miles of skating lanes. Ski along the Henry's Fork of the Snake River or try the Ridge Loop for a wonderful view of the park from the Ridge Overlook. Telemark Meadows (Mile post 18): Gentle slopes for some telemark skiing with views of Madison and Gallatin Mountains. Bighorn Pass Trail (Mile Post 20): A popular trail in Yellowstone National Park with great touring for all levels and skiing in Yellowstone. 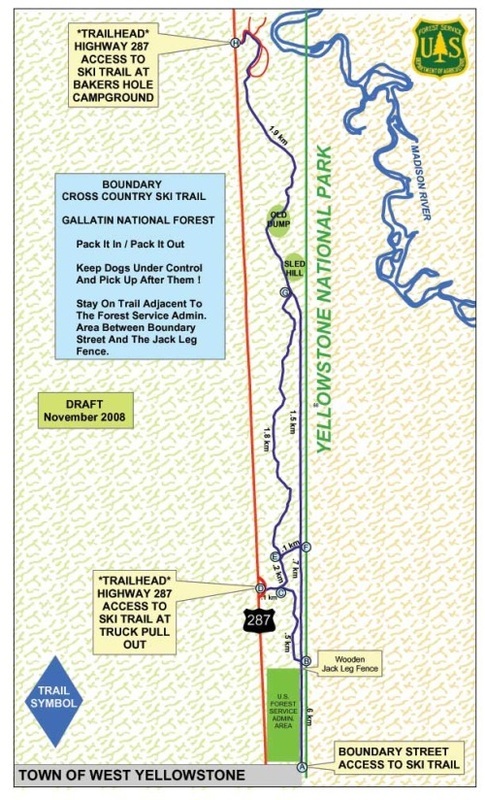 Fawn Pass Trail (Mile post 22): This trail parallels Bighorn Pass and meanders up a gorgeous meadow to a connector 8km into Yellowstone National Park. Make a loop or just go out and back. Great spot to see elk. Specimen Creek Trail (Mile post 27): Follow Specimen Creek into Yellowstone National Park, up a beautiful drainage. Keep your eyes open for petrified trees and moose! This is also a good spot for a snowshoe walk. Snowshoes are allowed on any ungroomed ski trails in Yellowstone Park.